Microsoft Office training courses. 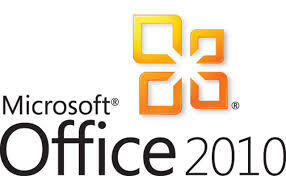 MS Office 2016 training, MS Office 2013 training, MS Office 2010 training. Excel, Word, Powerpoint, Outlook, Access, Publisher, OneNote. Sydney, CBD, Ryde, North Sydney, Chatswood, Parramatta. Are you struggling to make the best use of Microsoft Office? JMD Training and Consultancy offer training and consultancy in the full Microsoft Office suite range. Our Microsoft Office training is primarily conducted in the Sydney area, but we also train in Melbourne, Brisbane, Canberra, etc. Since our Microsoft Office training courses can all be tailored to meet the needs of the individual or organisation, and can use the files used in the organisation rather than generic training files, the learning experience becomes more relevant and productivity is rapidly increased. We usually train on client site. Our Microsoft Office training can be conducted from a complete beginner level up to any stage you require. We provide Microsoft Office 2010 training, Microsoft Office 2013 training and Microsoft Office 2016 training. We also offer Microsoft Office upgrade workshops, training and floorwalking, so if you are migrating to Microsoft Office 2010, Microsoft Office 2013, Microsoft Office 365 or Microsoft Office 2016, you may want to consider this to get staff quickly up to speed on the new system. They will also discover the new features in the packages. Visit our blog If Only I’d Known That,; we have called it that because we hear it so many times in training sessions. In fact, if only we had a $150 for every time someone says “If only I’d known that.” …. All our Microsoft Office training is available in Microsoft Office XP, Microsoft Office 2010, Microsoft Office 2013, Microsoft Office 2016 and Microsoft Office 365 versions.